The Jyotirlingas are of great religious significance for the Hindus. 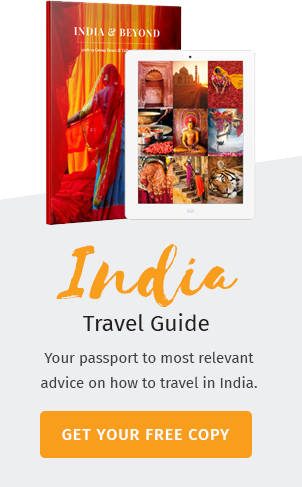 There are twelve Jyotirlinga temples spread over India and are the most prominent among the other Shiva temples for the pilgrims. 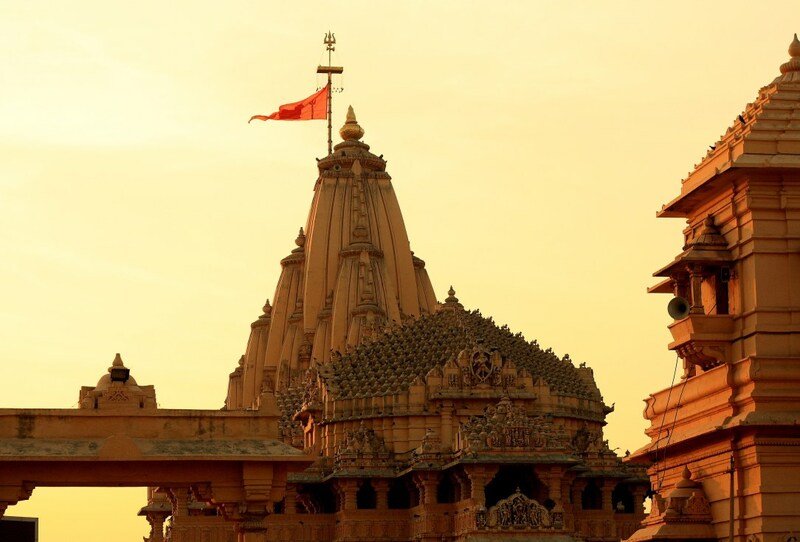 The Somnath Temple at Gujarat is believed to be the first among the twelve. The first structure of the Somnath Temple is believed to be constructed by the Moon God himself, however, the date of its erection is lost in antiquity. The present-day structure was built in 1995. The Somnath Temple is popular all around the world for its legendary levitating idol, the Somnath Jyotirlinga. The idol used to float in mid-air without any support. No doubt the architect was pretty skilful in his work. Let me unveil the secret behind this so-called floating Jyotirlinga. The Somnath Temple has passed through destruction and reconstruction a lot of times in the past. History goes like, Mahmud of Ghazni, a Turkish ruler set his eyes upon India to spread Islam and he did succeed to an extent in mass conversion of Hindus to Islam forcefully. Within a span 30 years of invasion, he demolished many Hindu temples and killed lakhs of Hindus who protested against him. The Somnath Temple also fell at the hands of Mahmud when he destroyed the whole structure of the temple during his invasion in 1025 A.D. He expected this would result in the Hindus becoming the Mohammedans. Fifty thousand Hindus were killed who stood against the temple demolition and being converted to Islam. He ordered his men to seize all the treasures which were worth 20 million Dinars then. It involved precious jewels and vessels made of gold and silver. Next up, his attention turned towards the Jyotirlinga or the Somnath Idol which was floating in the air right between the roof and the floor. Mahmud and his attendants were perplexed by the sight. He asked his attendants what to do with it and how come it levitated in mid-air. All expressed their opinions. Some said the idol was held in the air by an invisible support. Mahmud asked one of his attendants to examine whether there was any invisible element which held the lingam in the air? but failed to find any. It was then one guy came up with an interesting fact. He said to the king that the canopy of the idol was made of loadstones [magnetite] and the idol itself is made of iron. This pretty much summed up the science behind the floating idol. Some say, Mahmud, threw his sword towards the canopy on hearing this and to their surprise, the sword stuck on the canopy. The canopy was indeed a permanent magnet and held the iron linga with its magnetic force. The brilliant architect, whoever it was, planned the whole setting in such a way that the magnetic force was equal upwards and downwards which held the lingam in mid-air. Mahmud ordered his attendants to remove the loadstones one by one from the canopy. As two stones were moved, the iron linga moved a certain distance downwards. One by one, when all the loadstones were removed, the idol touched the ground. Fascinating it is, to think of these architectural marvels and the ancient Indian architects who gifted us the same. Even modern day scientists and engineers are put to shame when we consider the brilliance of our forefathers. It is not just the Somnath Idol, there are other numerous interesting architectural delights spread over different parts of the Indian subcontinent which puzzles us, and some even defies the laws of modern science. Can I have some more details of the remnants of the Lingum that Mahmud of Ghanzni heated and broke, must be around. The sun temple of Konark is also built with a suspended Sun god much later,on the same principle of magnetic levitating. One in the Bottom and one on the top. with iron plates holding the stones of the structure no lime or motor used.Greatness of Indian Science. Any idea of the sandalwood doors of the Jagannath temple of Puri, with time they disappeared.Any written documentation of this if you have let me know. Thanks. Thanks. Any news about the Konark temple floating Sun God also supported by magnets in the bottom and top.The top one missing now.